If you’re here, you kinda like Martial Arts, in one manner or the other. You may be my student of Northern Shaolin, Taijiquan or…Not. Hey, that’s OK. You’re all welcome here. The point is that we all share some level of interest in the Martial Arts. So this list is for you. From UFC and MMA to Traditionalists and hobbyists, these podcasts have the potential to entertain and/or educate, So give it a go! Hiyaa!! was conceived as a podcast that would be both entertaining and informative for the martial arts community at large, no matter what style(s) you practice or what level you are at within your chosen style(s). Your hosts Craig Kiessling and Dave Jones have both been active in the martial arts world for quite some time – being students as well as teachers – so you know you’re in relevant (if not good) company. If you enjoy interviews with notable martial artists of various styles and backgrounds, no holds barred mouth boxing, and staying informed about martial arts in the news and other media—this is the podcast for you. So, slip on your angry pajamas, cinch up your black belt, eat a loaf of bitter, and don’t forget to throw your sense of humor into your gym bag as we take you on a bi-monthly safari in the darkest jungles of the Wu Lin. Whistlekick Martial Arts Radio is the only bi-weekly podcast devoted to the traditional martial arts in all forms. We dig into what makes martial artists tick, their history and experience… and tell some great stories in the process. It’s all about bringing martial artists together and learning from one another. Our guests include the famous and the unknown, from Taekwondo, Karate, Hapkido, Capoeira, Kung Fu, Filipino martial arts, HEMA and everything else you can imagine. An informational and entertainment podcast dealing with martial arts. Gain deeper insights into the world of internal Chinese gongfu, or Neijia as Sifu Ken Gullette talks with prominent instructors about Taijiquan, Xingyiquan, Baguazhang, Qigong, and the philosophy that guides these amazing martial arts. This is a real-world conversation without the mystical mumbo jumbo — a No Woo-Woo Zone. You will walk away with deeper knowledge and new inspiration after listening to this fun and insightful conversation. The audience of this program is some of the Finest and Sharpest Martial Artists in the world. TW Smith brings the stories of martial arts to life by looking through the lenses of history, research, legends and lore. KungFu, Karate, BJJ, and many other systems as well as sports such as MMA are all included. It’s designed to serve our martial arts communities today and years down the road. Committed Martial Artists are only a tiny percentage of any population, We need to know what we have in common, more so than how we are different. The official podcast of Austin Kung-Fu Academy! We practice jiu jitsu self defense basics, Choy Lay Fut kung-fu, and tai chi. We are two martial artists from New York who discuss Wing Chun, Jeet Kune Do and the martial arts in general. We also touch on the fitness, weight loss and of course the history and traditions of our arts. Learn the Chinese language (Mandarin) behind Tai Chi. In each bite-sized episode, I explain the Chinese behind a popular Tai Chi term, like Parting the wild horse’s mane (episode 7) or White crane spreads its wings (episode 9). The podcast where the world’s highest Personal Development experts and Martial Arts masters come together to empower and inspire you to become your strongest self and live the life that you truly want. Sifu TW Smith shares his experiences and awareness through Chinese Martial Arts. He began training in KungFu because he was lost as a young man, making the same ole mistakes, ending up in places he shouldn’t have been. Thru rigorous martial art, combative and meditation training with his US Army classmates, he found a different Kung Fu path. Hi, I’m Robin Gamble I’m an author, speaker, Qigong and Tai Chi Chuan instructor. A “Scholar Warrior” is an ideal in many great civilizations, it is someone cultivated through martial arts and more gentle pursuits like philosophy, art, music, meditation and more. So it’s here that I interview Martial Artists and Scholars from all manner of disciplines, so that you the listener may benefit from their skills and knowledge, and apply it to your own life. The Art of War, read to you. Martial arts school owner Zach Hayden takes you along for a ride as he discusses the ins and outs of running his school. He’ll discuss the good, the bad, and the ugly as he works to improve his business. Ever wondered why people wear pajamas and fight each other? Mick’s been doing it for 30 years and wants to know too. Subscribe and see if he can find the answer. Each week he speaks to a different practitioner from masters of traditional arts to UFC superstars – and everything in-between. 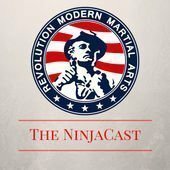 We are a Podcast talking Martial Arts. From traditional to MMA and mostly taking the piss with a beer in hand. 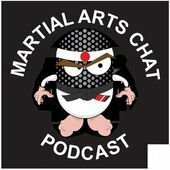 Whether it’s fellow enthusiast, journalists, bloggers, podcasters, instructors or fighters, we have them all here on Martial Arts Chat. Podcast Program by the Best Selling Authors of Books and DVDs about Karate, Life, Violence, and Self-Defense. Japanese & Okinawan culture, karate history, tournaments, travel, and good old blood & guts stories we talk about everything vaguely martial arts related. Iain Abernethy has been involved in the martial arts since childhood. Iain holds the rank of 6th Dan with the BCA, or the British Combat Association (one of the world’s leading groups for close-quarter combat, self-protection and practical martial arts) and 6th Dan with Karate England (the official governing body for Karate in England). Iain’s popular monthly podcasts cover all aspects of practical martial arts and realistic self-protection. Martial arts are a powerful path to fitness of the mind, body, and spirit… yet most people never even try a class! Join Ando Mierzwa as he shares ways to apply the wisdom of Karate, Kung Fu, BJJ and other martial arts to everyday life. If you are pursuing success in health, relationships, or business, you will quickly discover how even a little martial arts makes life a whole lot better! Mark Divine is the founder of SEALFIT and Unbeatable Mind and the host of the Unbeatable Mind podcast. Mark is also a Retired Navy SEAL Commander, New York Times Best Selling author, speaker and entrepreneur. The podcast deals with a wide variety of subjects, from philosophical, emotional and meta-physical to self defense, fitness and elite physical performance. They all form a part of Mark’s 5 mountain training path to develop your Mental, Physical, Emotional, Intuitive, and Kokoro (Heart) self. Have you ever wondered what it takes to get your black belt, win a tournament, perfect a poomsae, or defend yourself on the street? Here at Focus on Taekwondo, we intend to help you find those answers. We interview top professionals in their field, masters, athletes, and coaches to give you an insight into what it takes for you to be the best you can be, in this modern-day, ancient global martial art and sport that is Taekwondo. Learn how to protect your family from danger, scams, misfortune and bad people. Professional martial artists, Scot and Andy, take on a new topic every week designed to give parents the information needed to keep themselves and their families safe. Join Bruce Lee’s daughter Shannon Lee and cultural anthropologist Sharon Ann Lee for a conversation about the life and philosophy of Bruce Lee. Bruce Lee was a famous martial artist, movie star and cultural icon–but his philosophy has caught fire around the world inspiring millions searching for meaning and consciousness. Each episode will dig deep into Bruce’s philosophy to provide guidance and action on cultivating your truest self. Brian Stanton, Shelby Creech, and John Combs are just a few life-long martial artists who like to get together and discuss all things martial arts. Topics include everything from traditional styles, self-defense, MMA, and everything in between. And yes, there will be some reminiscing about the good old days. A podcast from Toronto, Canada interviewing people from the Canadian Muay Thai community while documenting its history & rapid growth. Conversations about martial arts news, training and culture. We cover traditional karate, kobudo, MMA and do interviews with notable martial artists and equipment/product/video reviews. Welcome To The Martial Arts Business Podcast! Helping martial arts club owners grow, develop and scale their schools with marketing, retention, systems, staff, branding, social media and much more. Giving you the tools and skills to become a black belt in business. Here’s your host 3x world martial arts champion, award-winning school owner, successful business coach and No.1 bestselling author Gordon Burcham. Keep learning, developing & growing and you will become a black belt in business. A Podcast dedicated to helping martial arts business owners and instructors to Level Up their business, mindset, and training! Hosted by Adam Kifer, the owner of Level Up Music. Journey across the U.S. hitting all fifty states as we learn the past present and futures of different martial arts, their teachers, and their cultures. From the casual practitioner to the devoted instructor, there is a place here for every warrior trying to get an edge in their understanding of martial arts. The Martial Culture Podcast with Coach Rene and Matt Peters dives deep into Martial Arts, UFC, MMA and with the history of the art and some fun at the same time. A Dojang should teach you more than just martial arts. It should also open doors to allow you to become a better, stronger person. So what’s it like when a couple of martial arts masters get together to discuss the issues of the moment? Well, probably not what you’re expecting. Masters Grant Miller and Patsy Zarilla discuss the weekly trending news stories and the role modern day martial arts plays in helping navigate and process these events. It’s an open, honest, completely spontaneous, no holds barred discussion that’s totally live, unscripted and definitely not for the easily offended. Listen to interviews with martial arts masters from around the world. Learn about the history and development of different styles and how martial arts continue to develop today. We are about promoting positivity in martial arts, health, fitness, in all aspects of life. We strive to bring the best guests we can find in all facets of martial arts including, kick boxing, muay thai, jiu jitsu, judo, grappling, wrestling, kettlebells, and more! A podcast by two female Muay Thai fighters living and fighting in Thailand, Sylvie von Duuglas-Ittu (of 8limbs.us) and Emma Thomas (of undertheropes.com). We discuss what’s happening in female Muay Thai in Thailand, what’s happening with us personally, and answer questions from listeners. We also tackle a Focus Topic each month. The Martial Arts Report Podcast is a news podcast covering the martial arts industry. A practical approach to staying safe in our increasingly dangerous urban environments. Learn simple strategies and everyday habits from Alex Haddox that will help protect you and your loved ones from harm. Hear interviews with experts on the criminal mind and listen to stories directly from real victims. When you understand what a criminal looks for in a target, you can avoid taking on those characteristics and thus escape selection. Hi, my name is Scott Boyd. I’m a 5th dan in traditional Karatedo and have been awarded the title of Shihan. I’ve been teaching karate for over 30 years and have competed at all levels of martial arts tournaments including regional, state, national and international competitions and I was very successful at it. When it comes to competing in martial arts tournaments. I believe there are two types of competitors, firstly those who are naturally sports-gifted and seem to do well at any sport they choose and are natural fighters. The second is like me, those who aren’t gifted athletes but do well at their chosen sport because they have a passion for it. Because I’m not a gifted athlete nor am I a natural fighter but I have done extremely well in martial arts competition. I’m here to give you the tips and tricks that I have learned that have helped me excel in martial arts competition. For some, my tips just may be a refresher, to remind them of some of the basics but to others, I’m hoping that they will be a valuable resource for helping their martial arts competition dreams come to reality. Not everyone is a natural fighter but with the right guidance, I believe anyone can be a great fighter! These are short 90 second tips to help you win a martial arts tournament.